No Doubt’s Adrian Young Almost Naked! 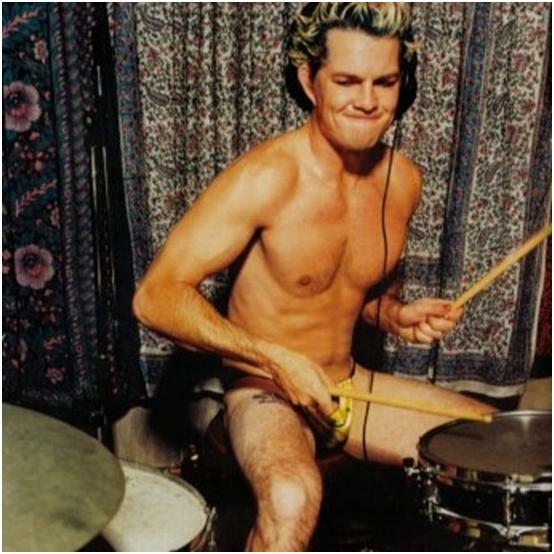 Adrian Young, drummer for No Doubt, knows how to work his fan base – lose the clothing. I wonder if his sweaty thighs stick to the drummer’s stool?